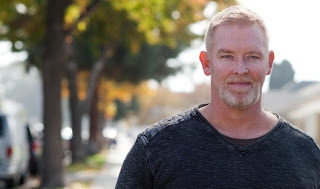 Read Jay Hunter Morris' Autobiography - free. 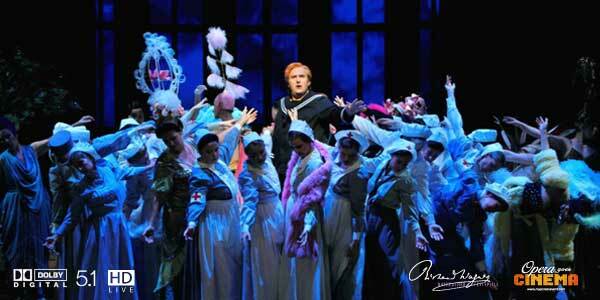 Wagner's women to be released from their curse in Munich: A Sven Holm production. An evening without gods or heroes but instead, Cosima, Winifred, Gudrun and Katharina Wagner, plus lots of blue-clad maidens, a male choir and the festival orchestra's left-over trombones *Wagnerin. Ein Haus der Kunstmusik* with Dame Gwyneth Jones in Sven Holm's production. The premiere 24 June 2012. 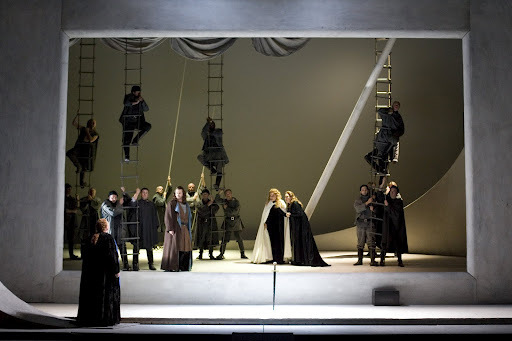 In this production, Holm puts forward the fates of female characters in the Ring in contrast to female succession strategies in the Wagner dynasty and in a surreal manner gathers Cosima, Winifred, Gudrun and Katharina Wagner in a future Wahnfried threatened with destruction. 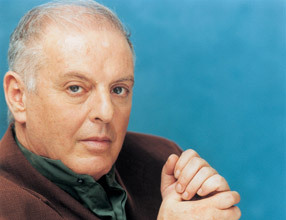 World-famous Argentine-Israeli conductor Daniel Barenboim is noted for his strong views on the Middle East peace process and for performing Wagner's music in Israel. In a SPIEGEL interview, he explains why the Israeli antipathy toward Wagner is grotesque and argues that Israel shouldn't depend too much on Germany and the US for support. Seriously, anyone that makes a comment about "Where's Wally/Waldo" is out of here. 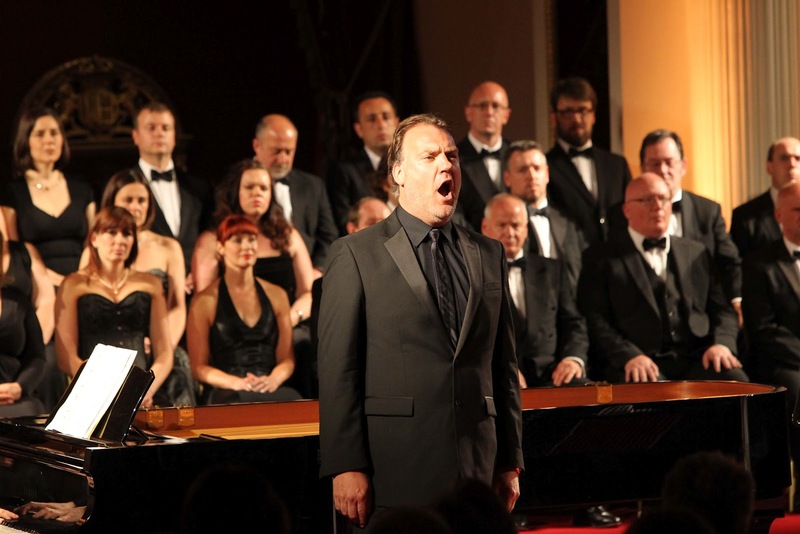 Members of Welsh National Opera performed before Prince Charles and more than 200 guests at the opera company’s first Royal Gala at Buckingham Palace last night (21st June 2012). The Company’s Patron, The Prince of Wales, had invited WNO to perform at the Palace and the event showcased the full WNO Chorus together with opera stars Bryn Terfel and Rebecca Evans singing excerpts from Wagner, Chabrier, Davies and Bernstein. Also performing were former WNO Associate Artists Elizabeth Donovan, Patricia Orr and Carolyn Dobbin. The singers were accompanied by pianists from WNO music staff, Stephen Wood and James Southall. 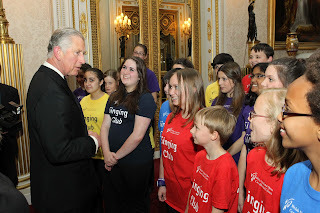 35 members of WNO’s Singing Club, aged between 10-14, performed as guests arrived. The Gala was a chance to thank supporters of the WNO’s Futures Appeal which has raised money for the Company’s ambitious new artistic plans over the next few years, as recently announced by Artistic Director David Pountney. These future plans include new productions of Manon Lescaut, Boulevard Solitude, Moses und Aron, Nabucco, Lohengrin, a four-year long exploration of the Bel Canto repertoire and a four-year series presenting the British premieres of new operas - opening with Jonathan Harvey’s Wagner Dream in 2013. "The Ring of the Nibelung" will be the grand finale of the 2012/2013 season of concert performances of the Wagner concert series, which has been running for the past three years, performed by the Rundfunk-Sinfonieorchester Berlin under the direction of Marek Janowski. 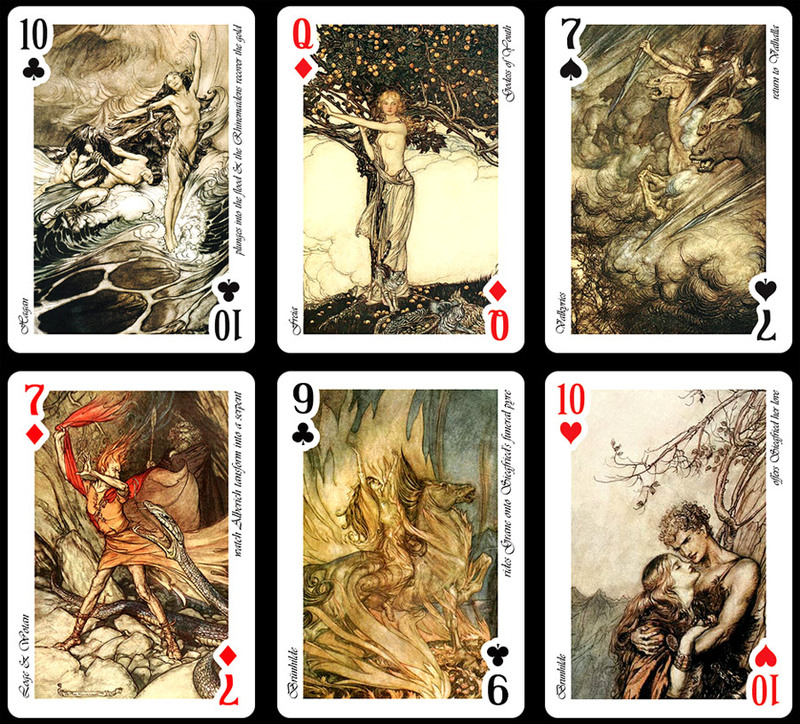 On 22 and 24 November 2012 the sounds of "Das Rheingold" (The Rhine Gold) and "Die Walküre" (The Valkyrie) will ring out in the Berlin Philharmonie with "Siegfried" and "Götterdämmerung" (Twilight of the Gods) following on 1 and 15 March 2013. The four concert evenings include amongst their international singing elite the voices of Tomasz Konieczny (Wotan), Ricarda Merbeth (Freia), Iris Vermillion (Fricka), Robert Dean Smith (Siegmund), Petra Lang (Brünnhilde), Stephen Gould (Siegfried, 1.3. ), Matti Salminen (Fafner, Hagen) and Lance Ryan (Siegfried, 15.3.). The Rundfunkchor Berlin will also take part in the "Götterdämmerung". Like all ten parts of the Wagner concert series, the four concerts of the "Ring" will be recorded by the PentaTone label and Deutschlandradio and later broadcast and released on Super Audio CDs, one after the other, up to the end of 2013. The Wagner concert series places music squarely at the centre of attention. The absolute listening experience makes it possible to hear otherwise inaudible nuances in Wagner's works. At the same time the pure reproduction of the music creates the ideal conditions for the live recording. Thursday, 22 November 2012, 8 p.m.
Saturday, 24 November 2012, 6 p.m.
Friday, 1 March 2013, 6 p.m.
Friday, 15 March 2013, 6 p.m.
(Reuters) "I don't know any other composer who had this intense effect that makes people crazy," conductor Adam Fischer, 62, told Reuters in an interview on the last day of the two-week-long "Wagner in Budapest" festival at the city's modern and acoustically crystalline Palace of Arts concert hall. 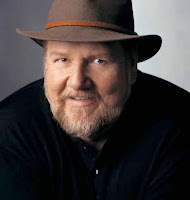 "This is like opium drugs for the Wagnerians -- and there are no 'Mozarteans' or 'Beethovenians' who are so dependent." Next year will see a worldwide frenzy for the bicentenary of the birth of Hitler's favorite composer, with performances of his epic -- and, at 16 hours, epically long -- "Ring" cycle of four operas, and other musts from the Wagner back catalogue like "Parsifal", "Lohengrin" and "Die Meistersinger", everywhere from Melbourne, Australia, to Seattle, Washington, and at dozens of other venues across the globe. 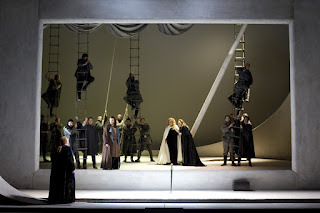 After seven years of productions, planning and performances, Fischer has a well-oiled Wagner team running in Budapest, with an orchestra that has upped its game year after year, modern stagings, plus a stellar cast of Wagnerian singers, among them German tenor Christian Franz and Swedish soprano Irene Theorin, whose performances as Siegfried and Brunnhilde brought down the house in "Gotterdammerung", the fiery ending to the "Ring" where everything literally goes up in smoke. The festival is well-positioned to cash in on the Wagner craze but the canny Fischer, who seems to have planned everything from the very start, next year will offer a new production of "Die Meistersinger" plus revivals of "Lohengrin" and "Parsifal" but will not put on Wagner's most famous opus because, as he put it, "everyone is doing the 'Ring'." Although he conducted all of the operas, most of which started at 4 p.m. and sometimes did not end until 10:30 p.m., with intervals, and despite the city being gripped by a scorching heatwave, Fischer, with one more to go, professed not to be tired. "If someone were to say I have to stand there and conduct 16 hours of music within four or five days I would say I would not be able, but if I conduct the 'Ring' I'm not tired at the end. I don't know why." Is it because Wagner's music is so exceptionally good? "Good is not the right word, it's not good, it's 'there' -- it has to be good if it has such a big influence and impact," said the man who lives inside those swirling, at times almost ear-shattering, masses of sound. 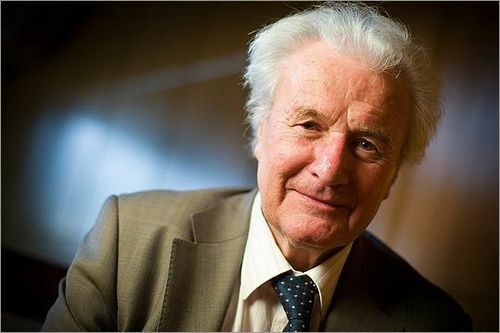 An outspoken critic of what he sees as his own country's drift towards a resurgence of anti-semitism under its right-wing government, Fischer is hardly one to cast a blind eye on the uglier side of Wagner, who wrote a viciously anti-semitic tract in his youth and, lest anyone had forgotten, republished it later in life. Wagner also committed adultery with Franz Liszt's daughter Cosima, 24 years his junior, who bore Wagner three children while she was married to another man. 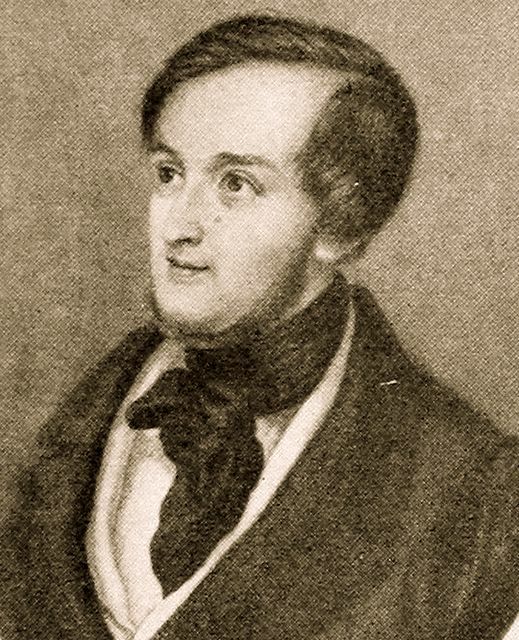 Nazi leader Adolf Hitler's affinity for the composer can also make the performance of Wagner's work a tricky undertaking. Earlier this month an Israeli university cancelled a concert featuring Wagner's music after Holocaust survivors complained the performance would cause them "emotional torture"
In Fischer's view, there are some really nice composers out there who wrote bad music, and some nasty characters who wrote great stuff. Fischer is foursquare on the side of great music and is ready to look beyond, if not overlook, Wagner's defects because his music, words and plots delve into the deepest and most basic of human emotions. "Art is about emotions, you show love, desperation, hatred, jealousy, five or six basic emotions, this is art for about 2,000 years...A girl loves a man, the man loves another girl...and whether this is a Jewish girl or a Palestinian girl it's not so important." The Wagner in Budapest festival, which the Palace of Arts says has attracted 50,000 people since it began in 2006, and which ended its season on Tuesday, is mounted in a concert hall, not the national opera house, and uses clever staging to dress up productions that fall somewhere between full-scale opera and concert versions. The budget for the festival is an undisclosed portion of the overall 4.5 million euros the Palace of Arts gets from the government, which due to Hungary's and Europe's economic crisis has been cut more than 40 percent since 2008, plus income from ticket sales and other revenues, the Palace of Arts communications department said. The festival has been likened to a "mini-Bayreuth", a flattering reference to the purpose-built opera house Wagner had constructed in Bavaria in the 1870s. What that means is anyone's guess but Fischer, who has conducted Wagner at the house he built, and elsewhere, prefers to see Hungary's festival as "Wagner from a different view". By that he means approaching the massively complex scores almost like chamber music, to bring out details that might get lost in larger halls or in the opera house, and to have very direct interaction during the performance with the singers, many of whom are world-renowned Wagner specialists, an elite breed in the opera world. It is an approach that has won a goodly number of repeat visitors, among them two retired Glasgow doctors, Billy Candlish, 55, and Bisham Thakker, 52, back for their fourth visit and third "Ring" cycle. "It's gotten darker and darker and darker and the tempos have slowed a little bit," Thakker said of Fischer's approach to the music over several seasons. First time visitors Tristine Berry and retired investment manager John Doss of New York were less impressed, with Berry, who works for the Koch Brothers-owned Invista textiles subsidiary, saying the semi-staged production of the "Ring" using video screens was "too distracting", although the singers were "fabulous". Graham Davies of Devon, England, went Berry one better, saying he mostly ignored the staging to focus on the music. "I've seen it very much as a concert performance, but as a concert performance fortunately without singers having scores in front of them, so they are interacting and I find it makes you concentrate on the text and, more importantly, on the orchestra so you start hearing things." To Hungarian Judit Parditka, though, everything about the 6 1/2-hour production of "Gotterdammerung" was manna from heaven. 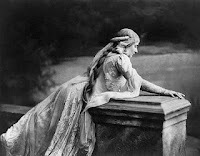 I listen to far less opera than people would probably imagine (at least that is not Wagner) but I rarely miss a performance of Pelléas et Mélisande. Alas, even in comparison to Parsifal for example, this opera is infrequently performed. With that in mind I thought I might provide a quick list of productions for this year. I have no doubt missed some and if you should know of one not included, please let me know. I have added a video clip of one of my favorite productions at the end, the WNO, Pierre Boulez, Peter Stein production from, I think, 1992. Still available on DVD of course. If you missed the live broadcast yesterday (20/06/12) it will remain available for the next 6 days by clicking the link below. 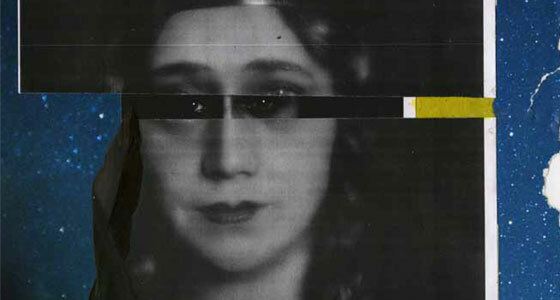 It seems that LFO's Götterdämmerung audience - alas, now sold out - are in for a treat. "Opera Scotland offers you "What's On", listings of forthcoming events; and an "Archive" of opera performances (giving date of first performance in Scotland), both free to users"
"As we move towards the bicentenary of Wagner's birth next year (22 May 1813) Opera Scotland has been recovering the forgotten history of early performances. We have now been able to list the date of the first Scottish performance of all but his two earliest operas (which haven't been given here at all). In doing so, we can claim not only to have updated and corrected previous attempts, but we've found most were performed earlier than previously thought." Over at "The Arts Journal" Norman Lebrecht is reporting the much feared BBC review of its orchestras and performing groups has concluded - and the news may not be that bad after all. It seems that the report recommends the retention of all 6 of the BBC's ensembles, including: BBC Concert Orchestra, BBC National Orchestra of Wales, BBC Philharmonic Orchestra, BBC Scottish Symphony Orchestra, BBC Singers and BBC Symphony Orchestra. However, they will still need to save £2.1 million by 2016/7. The National Lottery: in it to win it which consists of watching a bunch of balls move around randomly (again this maybe a program or a description of the BBC's weekend schedule). Saturday Kitchen (because in a country with a growing obesity problem we really need more cookery programing). Bargain Hunt Wherein people that look like Arthur Daly's "iffy" relatives buy a load of junk and sell it to even less intelligent people than those watching. 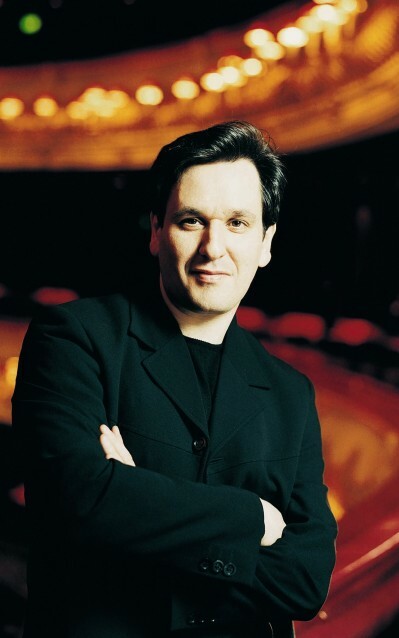 Music Director of The Royal Opera, Antonio Pappano, introduces the music to Wagner's Die Meistersinger von Nürnberg. With pianist Geoffrey Paterson and tenor Simon O'Neill singing the role of Walther. Jonas Kaufmann makes first official announcement about his health. 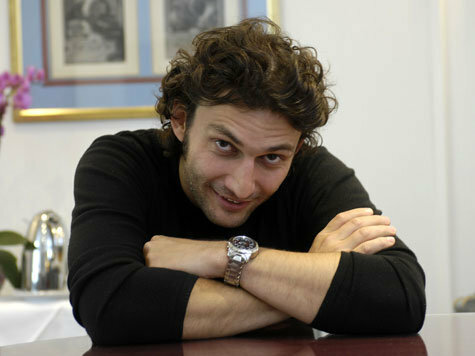 Jonas Kaufmann has just announced that he is on the mend and will be returning to the stage in July. He makes the statement, in his words (and in our badly and hastily translated German) "... before even more wild speculation and rumours are circulated"
After his break - which has lead to a number of cancellations - doctors inform him that he is now making an excellent recovery and that he will be able to meet his obligations starting in July with Linz and with Munich and Salzberg now all firmly in place. 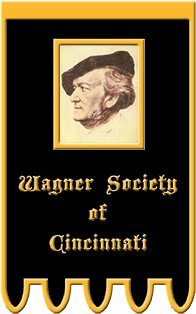 On March 11, 2012, the Wagner Society of Cincinnati hosted a "Wagner's Ring Cycle" panel discussion featuring a panel of experts: opera historian, reviewer, and respected authority, Charles Parsons; Cincinnati Opera's Director of Artistic Operations, Marcus Küchle; and international opera singer, Gustav Andreassen. Wagner Society of Cincinnati President, Jim Slouffman, moderated. Someday, I may get round to writing something about this movie. If you haven't seen it you should. And, as a useless a comment as it maybe, I think this film is as much about depression, in the modern sense, as Druer's Melencolia I is - which of course, is not a great deal. And no I don't necessarily mean the whole Sturm und Drang thing - an obvious influence given Lars von Trier's study of German Romanticism, but I think one needs to back even further to Agrippia and De Occulta Philosophia libri III. Of course, I might be wrong - but wouldn't life be boring if we were always right? 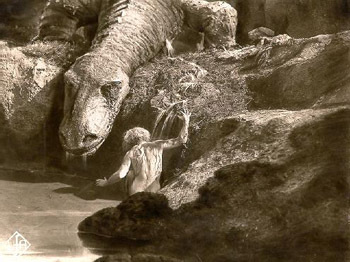 Should you be interested in pursuing this line of reasoning, after watching the whole movie, you might find the following essay by the late Dame Frances Yates of some interest - which starts out as an examination of George Chapman's The Shadow of Night. Edit: If you are still wondering what this has to do with Wagner - apart from the obvious - Wagner, if you are unaware, had a "working knowledge" of Cabala and I would suspect that von Trier is more than aware of this. Dr Berry in the orchestra pit at Bayreuth. As the bicentenary of the birth of Richard Wagner approaches, productions of his most celebrated opera, Ring, will be held around the world. Heralded as opera’s greatest composer, Wagner’s works attract a core audience of afictionados and continue to inspire new interpretations. Dr Mark Berry, a leading Wagner expert, will be discussing the different stagings of the Ring during a special event at the Royal Opera House on Monday (18 June). 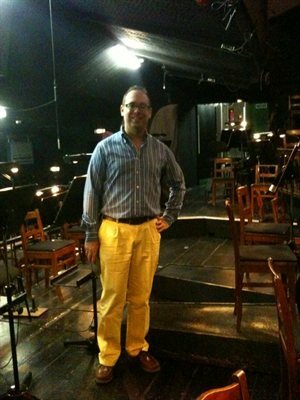 The talk will be held for the Wagner Circle – a group of like-minded people interested in gaining a deeper knowledge and understanding of Wagner - and will see Dr Berry discuss the different interpretations of the Ring, looking at the dramas and staging, with Kasper Holten, recently appointed Director of Opera at the Royal Opera House. 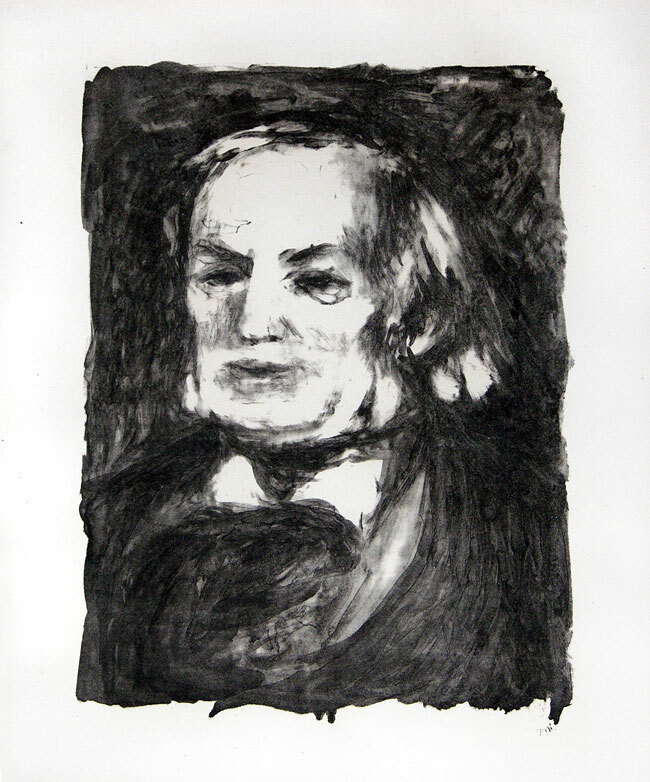 Dr Berry will also draw on his research into the political and religious ideas expounded in Wagner's Ring. The Royal Opera House will also stage a new production of Wagner's final drama, Parsifal, in 2013 - the anniversary year. Dr Berry will be involved in a number of events during the bicentenary year. He will be speaking at a Wagner conference at the University of South Carolina in January 2013 and at the Ring Symposia at Seattle Opera in August 2013. 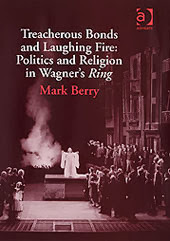 Dr Berry is author ofTreacherous Bonds and Laughing Fire: Politics and Religion in Wagner's 'Ring' For more information visit the publisher's website. Dr Berry also contributed to the Cambridge Wagner Encyclopaedia and will be guest editing The Wagner Journal. 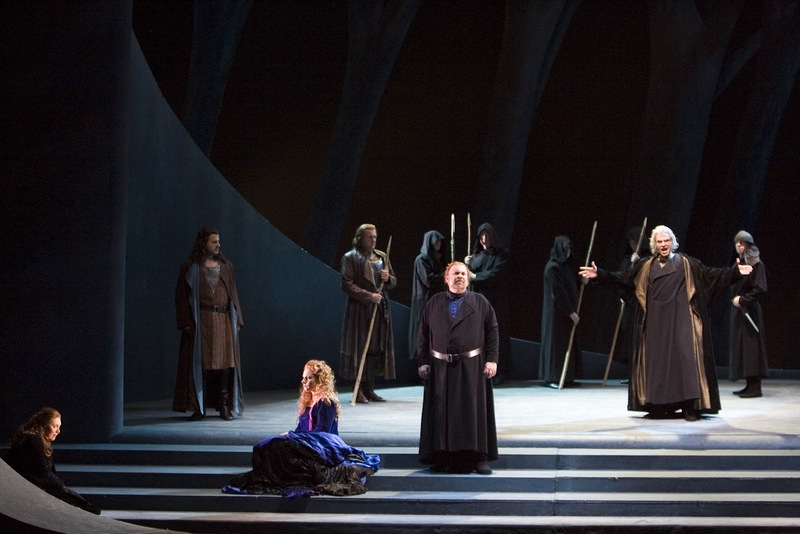 Union Avenue Opera of Saint Louis to stage Ring Cycle? 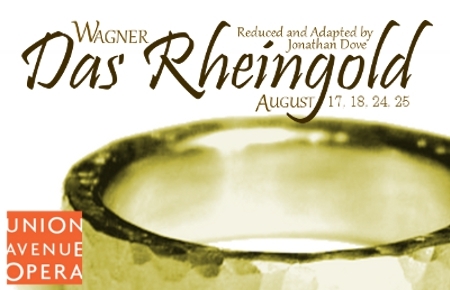 Concluding the 2012 Festival Season is the start of a four-year odyssey for Union Avenue Opera: Das Rheingold, the first of Richard Wagner’s epic Ring Cycle. 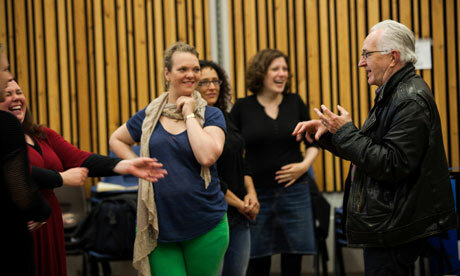 Condensed and reduced by English composer Jonathan Dove, this adaptation retains the essence of Wagner while making it accessible to UAO’s intimate setting. A saga of epic proportion replete with giants, gods, goddesses and a dragon, Das Rheingold opens in the waters of the river Rhine, where three Rhine-maidens guard the river’s magical gold. Enraged by their scorn, conniving dwarf Alberich steals enough of this precious metal to forge a ring that gives its bearer unimaginable power. Meanwhile Wotan and Loge, two powerful gods, conspire to steal the gold as ransom for the goddess Freia who has been kidnapped by the giants. The ensuing struggle for possession of the ring drives this dramatic opera. 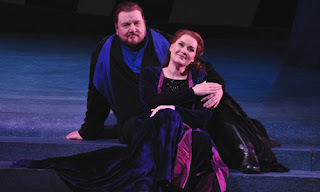 I was recently lucky to have had the opportunity to catch-up with Ben Heppner during his ongoing run as Tristan in WNO's revival of Yannis Kokkos' Tristan und Isolde. During our time together, we discussed conductor Lothar Koenig, the Isolde of Ann Petersen, who Tristan really is, the meaning of Wagner's opera, advise he would give to young opera performers and much else - including why certain opera productions may leave you smelling of anything but roses. TW: I believe this is your first time playing at the Millennium Centre in Cardiff, What are your impressions of the theatre? BH: This is indeed my first time at the Millennium Centre. In fact, I have never been to Wales before and I am enjoying getting to know Cardiff and environs. So far, I have walked portions of the Taff Trail and most recently I have been exploring SW Wales by car and foot. Rhosilli provided a most wonderful diversion. The theatre is better than I first thought. When I arrived I was able to see the Gala concert with Dennis O’Neill and Dame Kiri Te Kanewa as well as my friend Jason Howard. For some reason of accoustics with the singers on the orchestral apron, the voices were not as present in the hall as I might have expected. However, I do not get that feeling as I sing Tristan or listen to the Boheme that is currently rehearsing. It is a nice pleasing accoustic. TW: And also your first time working with conductor Lothar Koenig? BH: Actually no, it isn't. We did a happy collaboration with the Rotterdam Philharmonic presenting a recently recorded CD that I had made called ‘Siegfried’s Life’ In it I take excepts from The Ring and follow the life of the tenor characters throughout the Operas. Lothar is made to conduct Tristan und Isolde. He has been preparing this for a long time and it is evident is his thorough knowledge and excitement in conducting Tristan. I would think that most conductors would hope that they could conduct Tristan und Isolde at some point in their careers and Lothar is no exception. However, his understanding of the music and texts have made this Tristan a great pleasure. TW: I think he has said that the first opera he ever attended was Tristan when he was very young and that it left a lifelong impression. And certainly, the response from those attending has been very good - to say the least. I own a copy, of your ‘Siegfried’s Life’ Cd [highly recommended.If you don't already own a copy, and if you have access to Spotify, you can listen below] but wasn't aware of the Koenig connection. 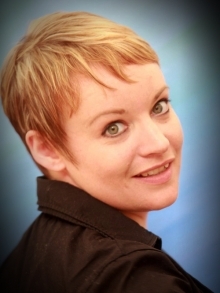 You haven’t worked with your Isolde - Ann Petersen – before though have you? BH: No, this is my first time working with Ann. She brings an intensity and passion to Isolde that is riveting to listen to and watch. She has all the vocal assets needed to express the passionate side of Isolde and a marvellous lyricism during the love duet. We will hear a lot more of Ann Petersen in the coming years. TW: You have now performed Tristan around 60 times. I’m curious to know, going back to when you first performed the role, how have your thoughts changed about Tristan as a person – if at all? BH:This is a bit of the frog in the boiling water syndrome for me. Each performance or production moves in one direction or another and I forget where I started with Tristan’s character. I suppose the biggest change is that I now believe that Tristan had a lot more choice in his circumstances than I previously did. He has a line in Act 3 where, after all the Freudian self evisceration about his father’s and mother’s fate, he concludes ‘ich selbst, ich hab’ ihn gebraut’ – I myself, I have brewed this (drink). TW: What about his relationship with Isolde? BH: I don’t think that my basic idea of what Isolde is all about has changed in any major degree. Every Isolde brings her own set of qualities to the performance and my job as a singing partner is to respond. I’ve been married for 33 years now and I’m fully aware that the my beloved is complex and fascinating bringing with her unique points of view that need to be recognised. So when Isolde brings up the ‘und’ speech in Act 2 I’ve got to say she’s right! TW: Indeed! And King Marke? BH: At first I had the feeling that Tristan felt completely exposed and embarrassed by Marke’s arrival on the scene. However, I now have the feeling that his remorse is really sympathy of the awkward position in which he has put Konig Marke rather than Tristan’s feelings of guilt. TW: Like most of Wagner’s dramas, Tristan has been analyzed relentlessly regarding “its meaning”. 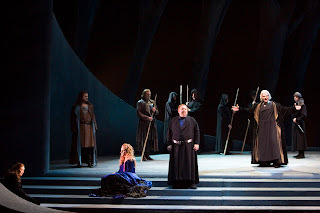 Yet unlike, Parsifal, or the Ring for example – where there is still much debate – most analysts seem to have now become fully convinced that either it is Wagner’s “hymn” to Schopenhauer or both that and his “obsession” with Mathilde Wesendonck. I’m curious, that as someone who has played the role of Tristan so many times now – and who I know has studied the opera greatly and indeed the philosophy that many argue influenced it – what, at its core, is “Tristan und Isolde “ about”? BH: Yikes! There is no way I could come up with some definitive answer about this. That is why we have Wagner Verbände that meet and discuss these things. An obvious place to start is the conflicting forces of the world of Night and the world of Day. It is essentially a realm of lies. In daylight, Tristan must deny any feelings for Isolde or perhaps even her existence. By contrast, the realm of Night represents an opposite, unseen reality, in which Tristan and Isolde are free to express their love and be as one in an eternal setting –achievable only in death. Schopenaur or Wesendonck – chicken or egg – Only Wagner knew. TW: Yannis Kokkos’ production, while “modern”, seems to remain faithful to the text of the drama. Could you tell us a little about its overall “concept” and your reactions to it. BH:What the set looks like is not the biggest issue for me. What does matter is that we keep a connection with what was originally intended by the composer. Yannis Kokkos’ production does just that. It is a very good directing of the characters involved and allows for the relationships to develop in an organic way. TW: This brings me onto something you said some time ago when you commented on the “insanity” of many European opera productions – the “worst” of “regitheater” if you will. And I think there is an ever growing chorus of voices in Europe that would sympathize with this view but would you explain a little what for you, you feel is the greatest problem with such productions? BH: As I mentioned earlier, I have no problem with an updated set or time period. However, when the director decides that he/she is going to use their own social or moral or environmental etc. agenda and insinuate it on top of what the librettist/composer intended, that is where I part company with the director. I have no problem with an artistic desire to put forward new ideas. However, why not write a new piece that deals with that particular topic. TW: I think I said something similar myself regarding a recent Wagner production and can assure you from responses that I received you are not alone with your thoughts. Remaining on this subject for a moment, I have always felt that it most somehow make a performance more difficult for an artist within such a production. For example a Tristan set in a sewage works designed to be some sort of “statement” on environmental “issues” - and which, visually, as you have just said, tries to rewrite the text. Would this be a fare statement in your experience or does it make little difference to your performance? BH: To continue the sewage example, this way of directing is its’ own form of effluent [He laughs] We all end up smelling bad. 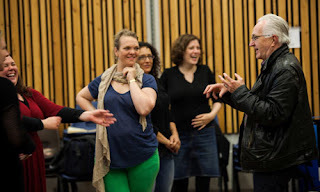 TW: There is no doubt that you are a great Wagner performer – and we are lucky to have you - there is also no doubt that Wagner is not the only composer in your repertoire, however, do you feel to highly “tunnelled” towards performing Wagner operas and what other composers would you like to include in your schedule to a greater degree? BH: It is a natural by-product of singing Wagner to be ‘tunnelled’ to sing more. When one finds a singer who can sing Wagner roles, whose musicianship and musicality blooms within these roles, you will be offered more. If the singer also feels the same you’ve got a match. Such is the case with me. I naturally gravitate to the music of the late romantic period and feel home singing Wagner. At our house, Mendelssohn is considered to be early music [Laughs]. TW: Talking of this, you are of course also known as a great interpretor of Berlioz. While there is a clear link between both composers – and it is difficult to deny Berlioz's influence on Wagner – could you tell us the differences between performing their works? BH: Beats me how I might be considered a great interpreter of Berlioz given that I have only sung Les Troyens. That said, I do love Berlioz. The orchestrations are the most fascinating to me. Berlioz finds wonderful colours in the orchestra. The vocal demands of Berlioz and Wagner vary from each other. Wagner seems have written for a way of singing that he envisioned an expression not yet heard on the opera stage up to that point. Berlioz seems to have written for a way of singing that already existed. The role of Enée seems to be written for 3 different voices. The aria at the end is echoing what Wagner was doing with his vocal writing but the duet seems to be based on the voix-mixte style of the french tenor. Then there are parts of the Enée that feel baritonal. The problem is that if you feel comfortable with the duet you will probably struggle with Inutile's Regrets and vice versa. TW: You will be performing Tristan later this year with Jennifer Wilson as Isolde, in a WNO concert performance at the Edinburgh International Festival. What, apart from the obvious, are the main differences to you as an artist in performing in a concert version of an opera and in what ways, if any, does it influence your performance. BH: I love opera in concert. It allows for the music to be front and centre. That said, I do miss the stagings which enhance the nuance and meaning of the piece. 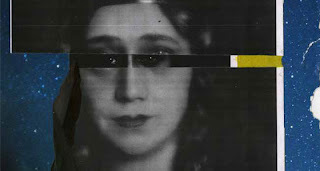 If there is any influence on the performance, it is that the singers feel more connected with the musical side of things, perhaps bringing a greater sense of clarity to what the composer had in mind. TW: I speak to a lot of young and developing opera singers and with that in mind: looking back on your career so far, what advice would you offer them? And is there anything you would have done differently? BH: One can observe and incorporate what you have learned from another singer, but advice and criticism should be taken from those who have earned the right to speak into your life. Be careful to whom you listen. What I mean is, you cannot listen to the casual observer or even a critic. Your teacher, your coach and manager need to be listened to because you have given them that responsibility. I would have done many things differently in the light of history. However, I’m content and more than a bit amazed at the path my life has taken. I started out just wanting to find a way to stay connected to music and ended up on a most wonderful ride. TW: Finally what are your plans for the future? TW: Ben, I just want to thank you once again for taking the time out, during the middle of a very busy run to talk to me and I look forward immensely to seeing you perform once again twice this year – I shall be heading to Edinburgh as well as Birmingham to so. Apart from the dates above, you can still catch Ben in WNO's Tristan in the UK: There are still a few tickets remaining for Birmingham on the 16th and of course we have the already mentioned the concert performance at the Edinburgh International Festival where the superb Jennifer Wilson will take over in the role of Isolde. NEW YORK likes to think of itself as being the classical music capital of the world. Yet every so often it falls off the flight path of certain eminent musicians. 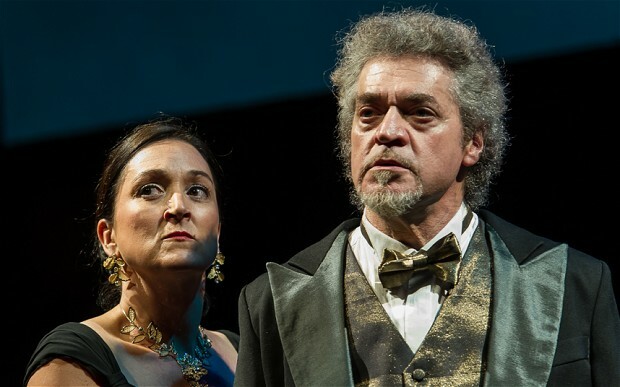 Cecilia Bartoli, Carlos Kleiber, Birgit Nilsson and Brigitte Fassbaender are just a few of the great artists who have skipped New York for long stretches. Details and booking below, should we find any others we will let you know. As you might expect from Bayreuth (anyone listening here or taking hints?) the official website has not been updated. The Bayreuth Festival is one of the most renowned and acclaimed opera festivals in the world, dedicated solely to the works of Richard Wagner. Every year, around 60,000 visitors from across the world are drawn to Bayreuth to experience one of its outstanding performances. Demand for tickets always outstrips supply, and the waiting list for tickets reputedly takes ten years to surmount. But this year, Warwick Arts Centre is providing you with a unique opportunity to jump the queue and witness a Bayreuth production without leaving the Coventry area. For the first time ever, there will be a live screening of Parsifal, beamed direct from the Bayreuth Festival to the cinema screen here at Warwick. An opera in three acts, it tells the story of the Arthurian Knight Parsifal (Percival) and his search for the Holy Grail. 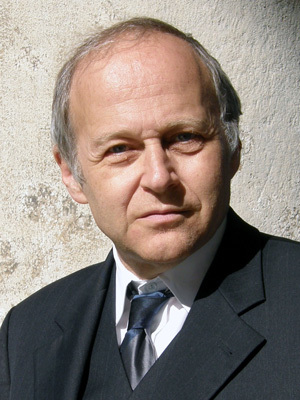 The role of Parsifal will be performed by Burkhard Fritz, with Kundry performed by Susan Maclean. Do not miss this unique opportunity to see a performance from one of the most in demand festivals in the world, and the spiritual home of Wagner. Running time: Approx 6 hours (includes two intervals and two interval programmes). Edit 20/4/2013: While this was free from Jay Hunters Website it is no longer. It can now be found for sale at amazon. Want to know why he got into a fight in "Safeways"? Curious to know why he hates hippies and demanded a refund for farting? |Want to know what happened when he met John Lithgow? Or his first night performing Siegfried? 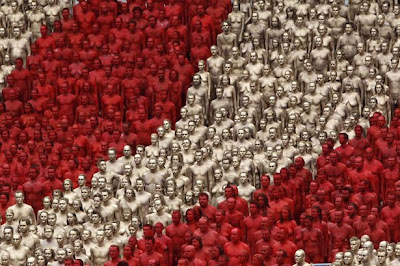 The Ljubljana SNG Opera and Ballet house presented on Monday its plans for the 2012-2013 season, which will feature six new productions, of which four are operas and two ballets. 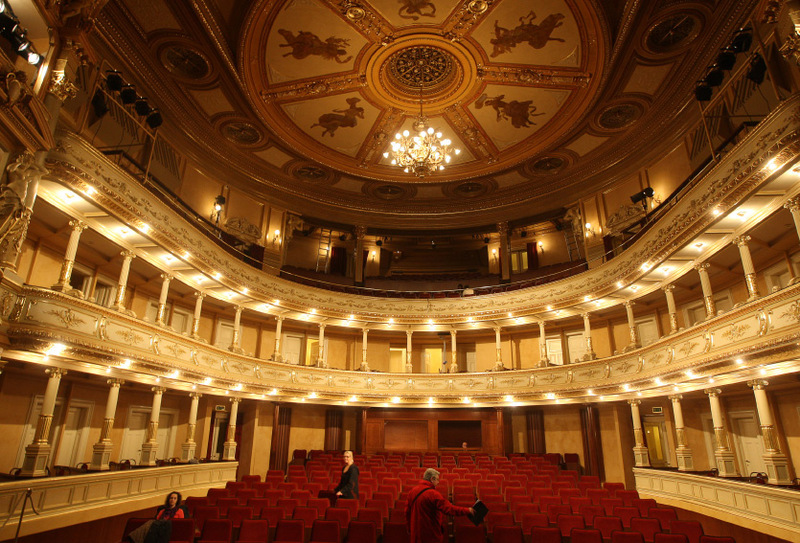 A number of events will also be held this year to mark the 120th anniversary of Ljubljana’s recently renovated opera house. 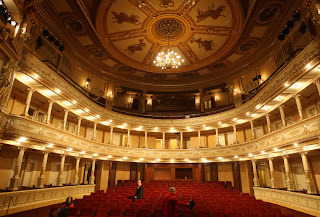 Director Mitja Bervar noted at the presentation that the opera and ballet house had been facing major financial and organizational trouble in the recent years, but that the completed renovation of the opera house end of last year had given the entire ensemble new impetus after it had spent six years in make-do conditions. Wagner's Ring is the ultimate test for an opera company: an epic, 16-hour cycle of four mythological operas that is both expensive to stage and to watch. A stalls seat for the Royal Opera's cycle later this year costs £1,000; while the most recent attempt of a British regional company to mount the work – by Scottish Opera in 2003 – almost resulted in the company going out of business. So how is a medium-sized touring company expected to produce the Ring and remain solvent? Last year Opera North undertook the biggest project in the company's 34-year history, to mount one instalment of the cycle a year between 2011-14. Given the financially straitened times, it might seem to be grand folly. Yet the project has been determined by the controversial, yet cost-effective decision to present the operas as semi-staged versions in concert halls rather than theatres. "Producing the Ring is a rite of passage which every opera company aspires to undertake," said Opera North's general director, Richard Mantle. "But I was adamant that we would not bankrupt ourselves doing it." Following cancellation by Tel Aviv University, Israel Wagner Society is having trouble finding a venue for the show. The Israel Wagner Society is continuing in its efforts to find a venue for a concert of pieces by Richard Wagner, without much success. Last week, the society found a venue in which to hold a concert this coming Saturday, the Tel Aviv Hilton Hotel. A few days later however, hotel ownership changed its mind and cancelled the show. "Everything was agreed upon with the Hildon's management," said Yonathan Livni, founder of the Israel Wagner Society. "Even the type of chairs – we signed a detailed contract, including which pieces would be played," continued Livni. On Friday afternoon however, despite the signed contract, and after advertisements were posted in newspapwers, the Hilton handed down the decision to cancel the show. "We don’t know the reason for cancellation," said Livni. "Meanwhile, this whole ordeal is dragging out huge expenses." 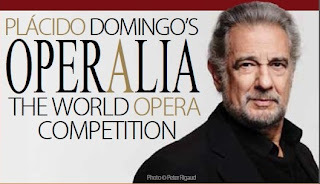 Founded in 1993 by Plácido Domingo, Operalia previous winners have included: Joyce DiDonato, Rolando Villazon, Stéphane Degout, Inva Mula, Nina Stemme, José Cura, John Osborn, Susanna Phillips, Ludovic Tezier. 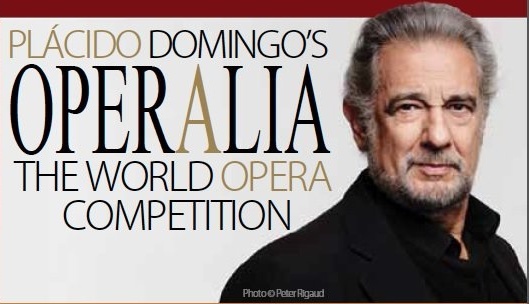 The contests goal is, according to Domingo: "My purpose in Operalia is to help identify not only the best voices, but also to discover those singers whose personalities, characters and powers of interpretation show that they have the potential to become complete artists. Individuals such as these become tomorrow’s stars. This is why the jury is not exclusively made up of great singers but also includes general managers, stage directors and casting directors"
Came across these earlier today. Frivolous but they do look "fun". More information at the manufacturers website linked below. Alas, we haven't bought a pack yet so can't say much about the quality but they certainly look nice. Clicking on the image will bring up a larger, more detailed image.